Serious skincare in a pen! Dermapen Micro Needling stimulates the production of collagen to create smoother, healthier skin. This is a great treatment for fine lines, stretch marks, acne scarring, enlarged pores, pigmentation, blackheads and all types of scarring. What is Dermapen Micro Needling? 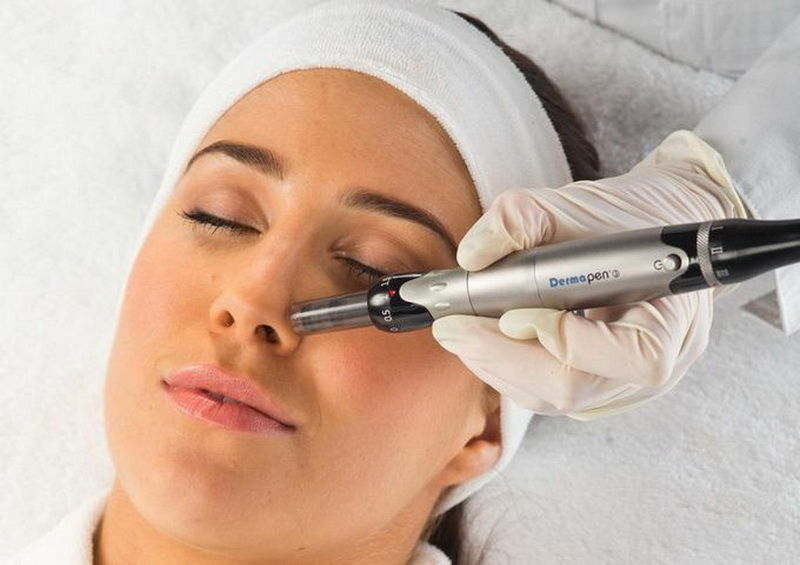 Specialist Skin & Laser Clinics use Dermapen 3, the most advanced form of skin needling used to effectively treat various skin concerns on the face and body. The Dermapen treatment uses multiple needles to vertically pierce the skin creating numerous micro wounds, thus stimulating the production of collagen and elastin. The vibrating effect increases procedural comfort whilst creating tiny rejuvenating channels as it manoeuvres across the skin. These channels allow topical nutrients to be delivered 80% deeper into the skin, to feed cells in the dermis and basal layer of the epidermis. What can Dermapen Micro Needling be used for? How many treatments are recommended for results? The amount of treatments recommended varies due to the concerns of the client and the outcome and response of each individual’s treatment. Typically, you will see results after the first treatment although lasting and most significant results will become visible after 4 – 6 treatments, especially when combined with he recommended post-treatment care. Even though the procedure virtually painless, numbing cream is applied for client comfort. There is no downtime and patients may resume day to day activities immediately, but may experience some minor redness for a day or two.